We provide shipping to the United States only. Yes, but only for California and Virginia residents shipping to an address within their state. How do I update item quantities within the Shopping Cart? Access your current Shopping Cart by clicking on the “SHOPPING CART” button on the top right of our page. Next to the product you wish to update, change the Quantity listed to the desired quantity, and click the “Update” button that appears to apply the change. Optionally, you can click the “Trash Can” icon to remove that item from your shopping cart completely. What if I have a question about my order or would like to cancel my order? please contact us so we can replace it at no charge or arrange a refund. It’s that easy! We ask that you email us a photo of the unsatisfactory items showing our mistake. If you request a replacement, we’ll replace, or arrange for you to reorder the original items at no charge. Any questions just contact us! CLICK HERE. How many Promo codes, vouchers or coupons can I use per order? One promo code can be used per order. Discount does not apply to shipping unless specified. Promo is only valid on Printshoplab.com and does not apply to apps or pick up at store if available. What is Print/Card Minimum $5.00? At Printshoplab.com, we strive to offer the lowest pricing possible, and in order to do so each order must be a minimum of $5.00. This DOES NOT mean you have to order $5.00 worth of the same item on Photobucket Print Shop, this only means that your final order subtotal (before shipping) must be greater than $5.00. Any questions just contact us! CLICK HERE. We do not recommend uploading photos larger than 10 Megabytes. Although the site may allow you to upload larger images, it will only slow down the order production process. Can I order prints from images with any color profile (sRGB, CMYK, ICC)? We take pride in offering the best consumer quality printing and exclusively use sRGB color profile for our products. The sRGB color profile is the standard for consumer digital cameras. Images submitted that use other color profiles or have been edited with other color profiles may appear washed out or the printed color may not match the image. How do I Upload Photos to Photobucket Print Shop? 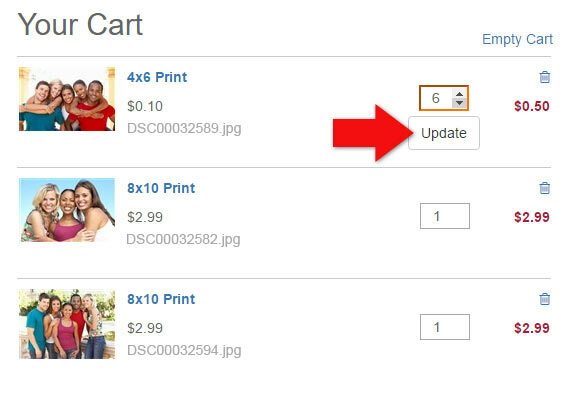 When you are ordering Prints or creating canvas, or other products, click the blue “ Upload Photos” Button. You can optionally create new collections of photos to help you better organize and manage your online photos. Simply click on the “ New Collection” button located at the buttom left of your screen when viewing your photo collections. Can I move photos from one collection to another? You must use a computer to access our website. From the Order Prints screen, select the photo(s) you would like to delete. Click on the delete button that appears on the top right above the photo area, and confirm that you want to delete your photo(s). How do I delete a collection of photos? From the Order Prints screen, select the collection you would like to delete. 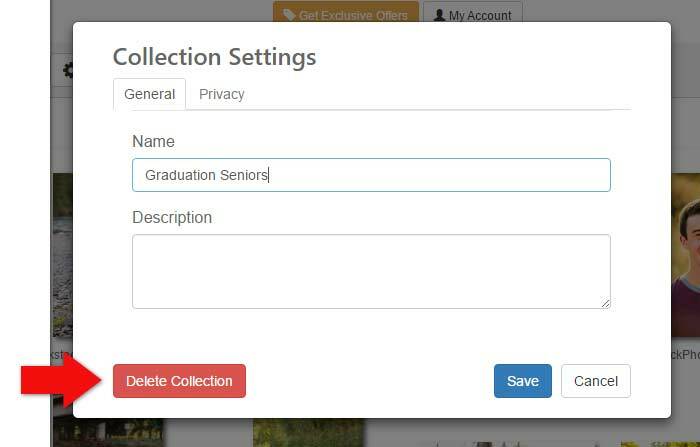 Click on the collection settings “” button that appears above the photo area, Then click the red “Delete Collection” button in the pop up box. Can I download my Pictures back to my phone or computer? Yes, Select your photo, and click the Download Icon. Yes! Using a computer to access our website, from the Order Prints screen, select the photo you would like to edit. Click the edit drop down button that appears on the top right above the photo area. You can edit your photos on our website using the free “Adobe Creative Cloud” app. Do you color correct my photos? We do not apply any corrections to your photos. We do however calibrate our machines to ensure you are getting the best color quality possible, which should closely match the images you send us for printing. Do you Automatically Crop My Photos? 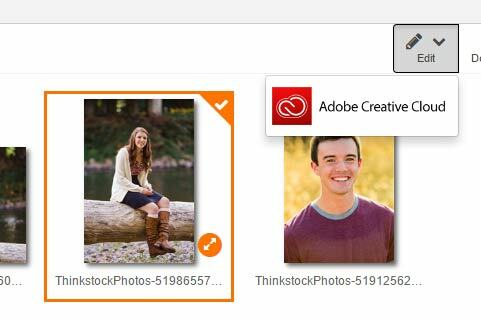 Optionally, you can choose to have us print all your photos without cropping. Can I share my photos on Photobucket Print Shop with other people? All collections created by default are private, and all photos in each collection are private. If you would like to share your photos, you must first make the album you would like to share publically viewable. Click on the collection settings “” button that appears above the photo area, Then click the “Privacy Tab” in the pop up box. Under Privacy, change “Sharing” to “PUBLIC” to enable sharing of photos within this collection. At this point you can optionally create a password needed to access your photos (which you can provide friends and family) or just send them a link which is provided. Only those with a link to your collection can access your photos, however they will NOT have access to your personal account or information. Once a collections settings have been set to “PUBLIC”, you can easily share your collection by clicking the “” Share button located above the photo area. 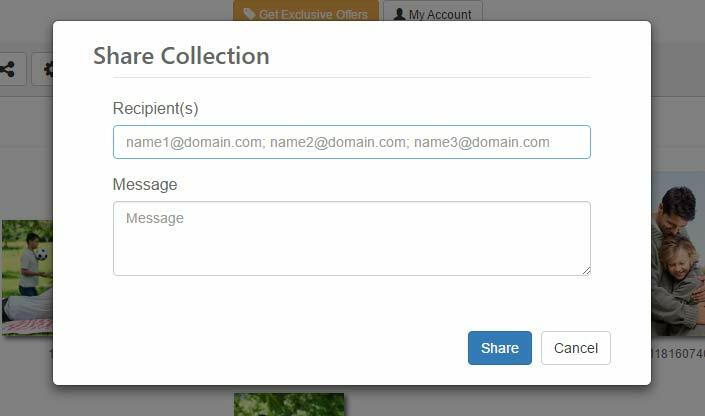 Enter in the email of your recipient(s) and a custom message, and they will receive an email inviting them to view your photos.